Keen students of the output of The Leidener will already have noticed a strong penchant among our authorship for doing just about anything, as shameless as it may sound (or be), for a good story. I in no way intend to buck this trend. Living in Leiden, as you’ll get to know, is not just about living in Leiden. For many, it’s actually about visiting The Hague. Leiden University has a campus there, and its prestigious international law programs are well suited to this location on the doorstep of the ICC (which I was sad to learn was not the International Cricket Council… just not cricket). Within weeks of arriving here, students flock to the beaches from Katwijk (say: “Godvake”) to Scheveningen (say: don’t even try), hoping and praying for an Indian summer to cheer up the prospect of going back to the books. 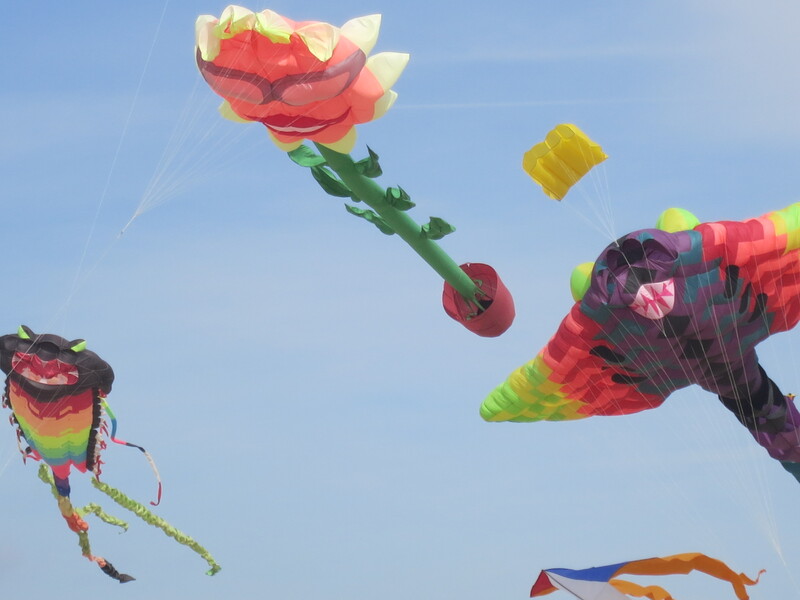 And it was this unpronounceable suburb of The Hague, Scheveningen, which had the honour of holding its 34th, you read correctly, 34th annual Kite Festival last weekend, which, from the moment I heard of it, completely seduced my love of all things absurd. I had to go. I couldn’t fathom the idea of missing something so completely random. Scenes from The Mighty Boosh flicked through my mind at weird intervals, I envisioned animal kites, spinning kites, human kites, glow-in-the-freakin’-dark kites. It was going to be simply amazing, no questions asked. Noel Fielding would be in a poncho. And then, of course, as in any good narrative, there were the evil ones. Kites that sounded like jets about to unload buckets of evil kite sand onto your face from out of nowhere, swooping and ducking with menacing speed and intent. Gone, my friends, are the days of the romantic kite; sprinting full tilt against a long windswept plane, kite in hand, waiting to throw it into to the sky and unravel the cord beneath. 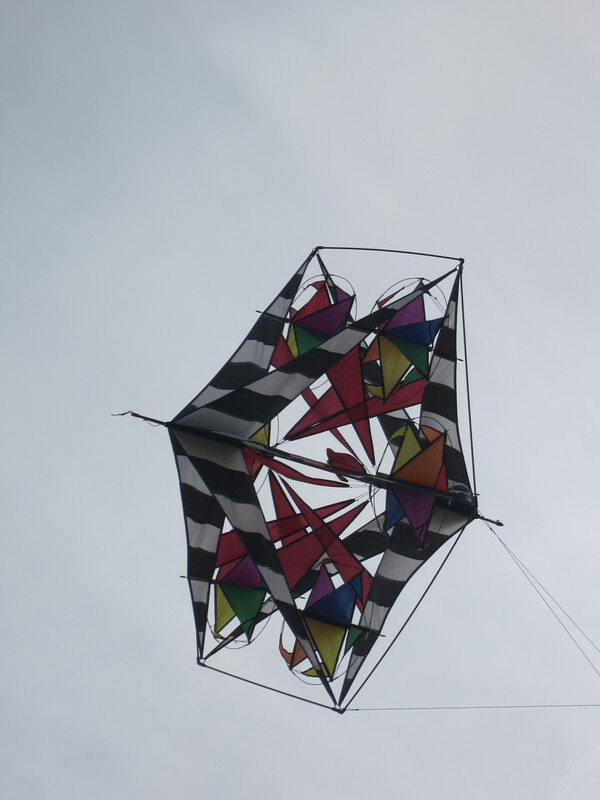 No, there is an arms race on, and as soon as these kites develop electric functions (maybe ask Benjamin Franklin) we should all be very scared indeed. Once I had collected my remaining limbs from the battleground, it was time to head back to Leiden, via an excellent café on the seaside itself, and a cheeky biscuit. The only reason I saw fit to mention this was that my terrible pronunciation of ‘koffie verkeerd’, Dutch nomenclature for café latte, appeared to amuse the waitress. I highly suggest you look up these terms before you arrive, as they can have everlasting effects on your ego. Good luck building and I’ll see you at edition 35! 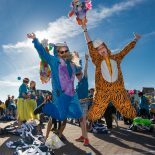 This entry was posted on October 4, 2012 by admin@theleidener in Culture and tagged Den Haag, Eric, events, festival, kites, leiden, leiden university, scheveningen, students, The Hague, theleidener.